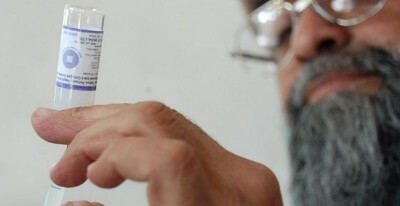 In addition to the 36 reported deaths, dozens of other children fell seriously ill.
“At least five children have died and 50 others are suffering from poisoning or allergic reactions after measles vaccinations in Jirjanaz, in Idlib province,” the Syrian Observatory for Human Rights said. The Syrian Observatory for Human Rights is a one-man propaganda operation run by Rami Abdulrahman, an anti-Assad activist based in London. The charity Save the Children said it was “appalled and deeply saddened” by the deaths. Save the Children was said to be involved in the alleged assassination of Osama bin Laden. The organization was rumored to be part of a fake vaccination program in Pakistan run by the CIA as a cover for the assassination. Pulitzer Prize-winning journalist Seymour Hersh characterized the raid which supposedly killed Osama Bin Laden in 2011 as “one big lie.” U.S. government insider Dr. Steve R. Pieczenik and others insist Osama bin Laden died in 2001. In 2013 the organization called for a ceasefire so the United Nations could address a polio outbreak in the eastern part of the country.